Orbis Interactive are experienced search engine marketing professionals with proven success in the UK’s most competitive markets. Understanding your business and the needs of your customers’ is at the heart of everything we do. We’ll work with you to develop the most effective strategy based on your current situation and position in the market. If you are looking improve your natural search engine rankings, the first thing you should recognise is that a quick fix is a temporary fix. If you’re serious about SEO you will need to be prepared to invest either time or money into making it a part of your daily business practice. Every website and every business is different, and for that reason we don’t adopt a one strategy fits all approach. Our approach largely focusses on following the core principles of SEO; Technical SEO – ensuring your website is set up or ‘optimised’ correctly at code level and how it is perceived by the search engines, Content Review – reviewing and refreshing current website content, and then establishing a sustainable content strategy to grow your website. We can also work with you to broaden the scope of your SEO into a wider and more sustainable digital marketing strategy. Our focus is on building and reinforcing confidence in your brand and depending on the nature of your business there are various ways we can look at doing this. 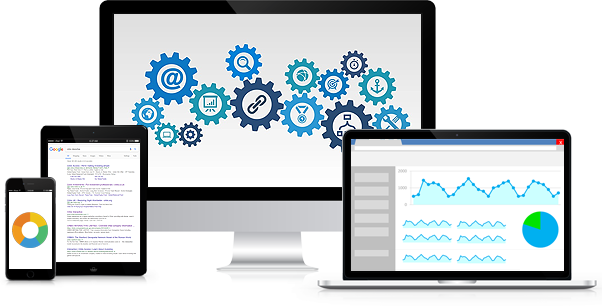 Our Website Audit is primarily a technical audit which identifies existing problems with your website such as broken links, duplicate page indexing, missing pages (404's) and server issues etc. The results of the audit help us to identify errors or flaws within your website which can negatively effect SEO. From this we can put together a list of technical action points which we can carry out to help to resolve these issues. Our Usability Review compares your website against "Best Practice" guidelines for usability - the measure of how something is able to be used. Usability and understanding a customers' journey is particularly important with e-commerce websites, and multi-tiered websites with a high volume of content. Following the review,we will be able to suggest improvements that not only enhance customer experience, but also increase conversion rates. Keyword and competitor analysis is a critical stage for identifying how we are going to go about achieving your goals. We will work alongside you to review your content, identify keywords and phrases that you should be ranking for, and analyse competitor websites to see how they are performing. Using the results from all 3 phases, we can formulate a strategy to not only improve your search engine ranking, but drive quality leads to your website.